While researching articles on the app Nuzzel to share on Pick’n Run, I came found three articles on individuals and groups of volunteers who pick up trash on beaches, recreation areas, and even on a stretch of road. Each story is interesting in terms of why individuals pick up trash and the positive impacts they have on the environment and people around them from just picking up trash. 6,700+ Volunteers Pick Up 78+ tons of Trash from 146 Miles of Texas Beaches is about an annual event called Adopt-A-Beach Cleanup, which involves volunteers picking up trash at different locations. This year’s event involved 6,772 volunteers, who picked up a total of 156,699 pounds of trash from 28 locations along Texas’s coastline. Volunteers pick up 4 tons of trash from Fall Creek Recreation Area is about a woman named Jennifer Moss, who led a clean-up crew of 50 volunteers at the Fall Creek Recreational Area, and picked up a total of 4 tons of illegally disposed trash. This Guy Picks Up Trash on the Side of the Road Just Because is an article recognizing a young man who is picking up trash along a stretch of road in East Bridgewater for no intentional reason except contributing to a good cause that he wants to. 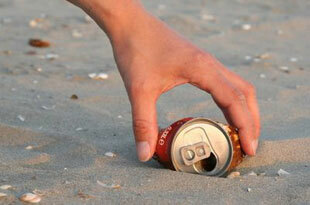 These stories are worth looking into, and possibly inspire you to pick up trash for your park, neighborhood, or beach. It is a simple act that can go on for a life time. I like how you talked about how 6,700 volunteers picked up 78 tons of trash of the beaches. My grandma lives in Texas and she uses one of those litter pick up tools all the time to pick up trash off the street and beaches. Thank you for the information on how people have come together to make the Earth a little cleaner. No problem. It is a wonderful feeling to know that people can make a difference in making the world trash-free when they put their heart and mind into it. And with companies like you and me providing tools to those people, it will make it easier for them to pick up more trash. Tell your grandma thank you for partaking in making the streets and beaches trash free in her city/town.